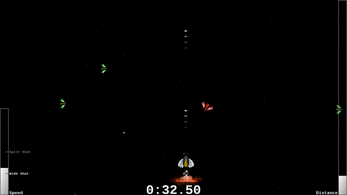 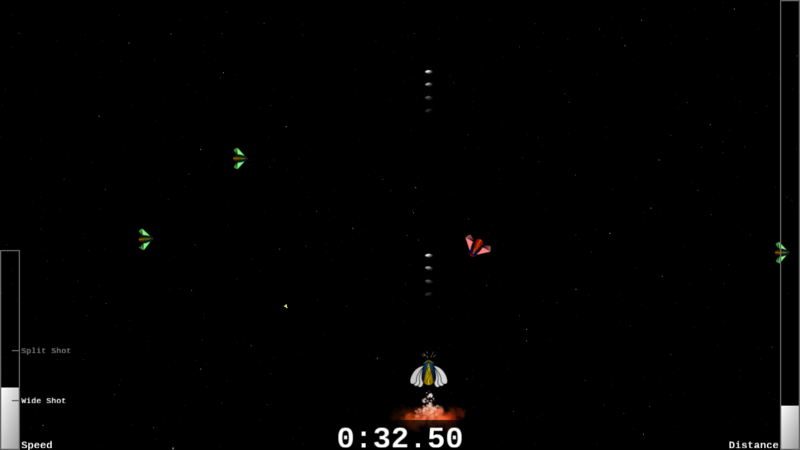 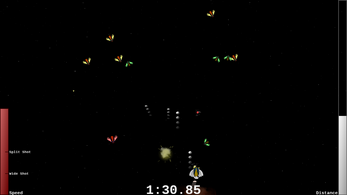 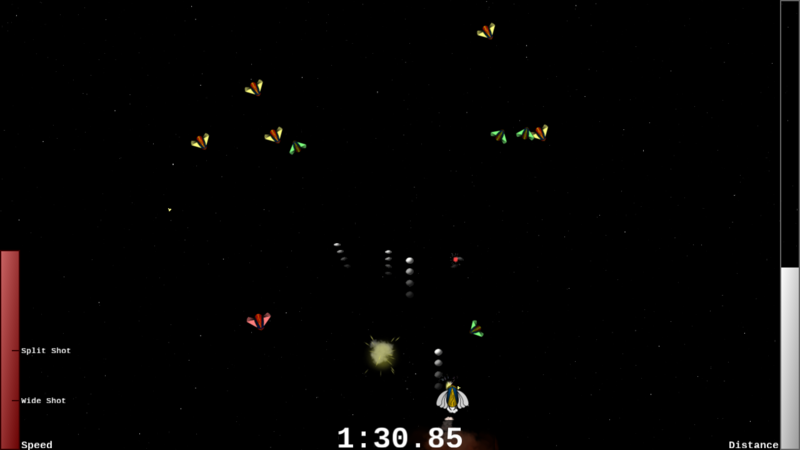 A fast-paced little space shooter where the goal is to reach the end as fast as you can. 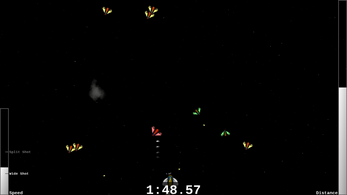 Maintain high speeds by killing enemies and avoiding damage. 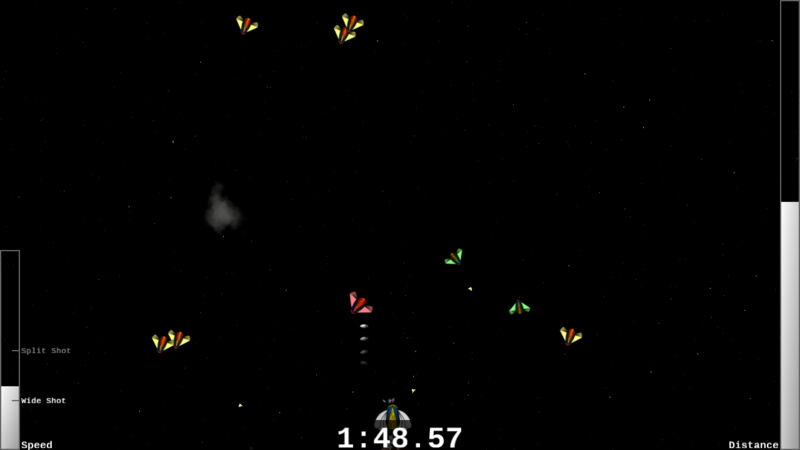 As your speed increases the enemies get more brutal, but so does your weaponry.